No more manual copy/pasting, forgetting to post, and being chained to your mobile device. 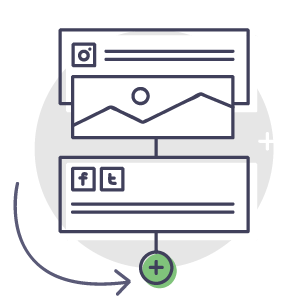 Get your life back with ReQueue: the only social automation tool with built-in intelligence. 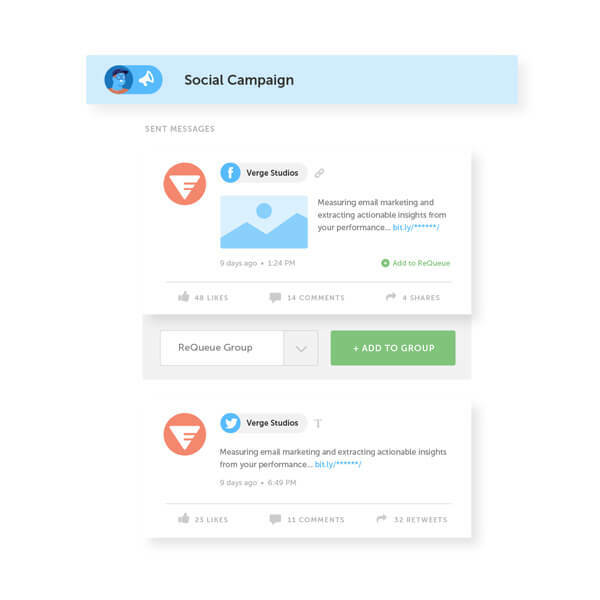 Create + schedule your social messages. Add your best messages to ReQueue. 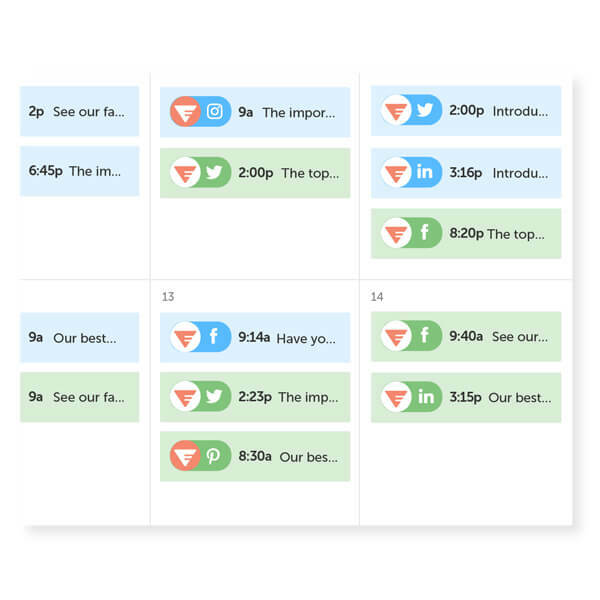 ReQueue will automatically fill your social schedule. Stop trying to play catch up with your social strategy! 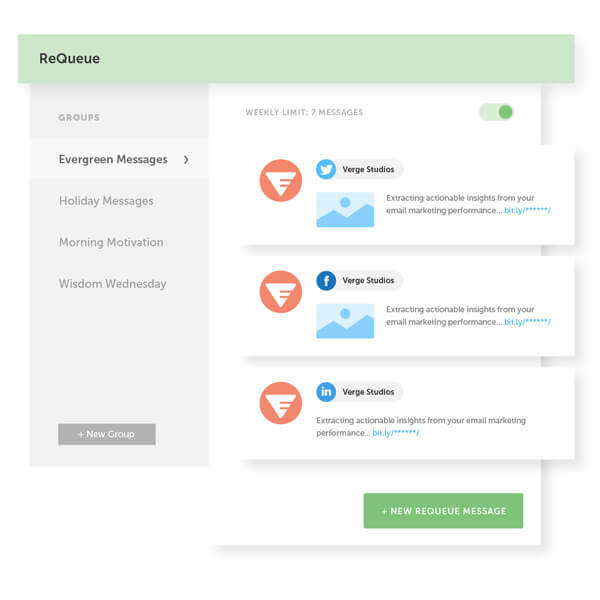 Automate your best social messages with ReQueue. Stop messing with the manual + tedious work of copy/paste. 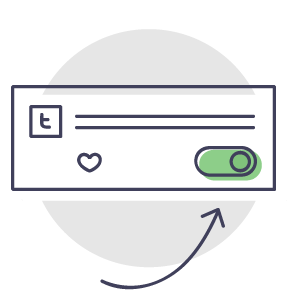 Create your messages once, add them to ReQueue, and CoSchedule will send them out at the best possible traffic times for all your social networks. Create your own custom sharing schedules. Create custom sharing schedules like Motivation Monday or #TacoTuesday by selecting the day, time, and sending frequency that works for you! Get more mileage out of your messages. The average lifespan of a single social message is mere minutes, so why are you only sharing it once? 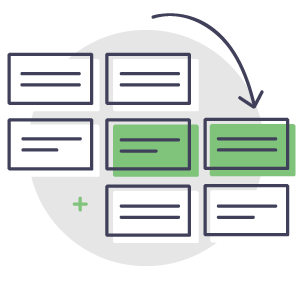 Create your messages, add them to ReQueue, and let CoSchedule re-share them at the most optimal posting frequency. Fill the gaps in your social schedule (w/out the manual work). Instead of spending hours of your day filling your social queue, let ReQueue do the heavy lifting! 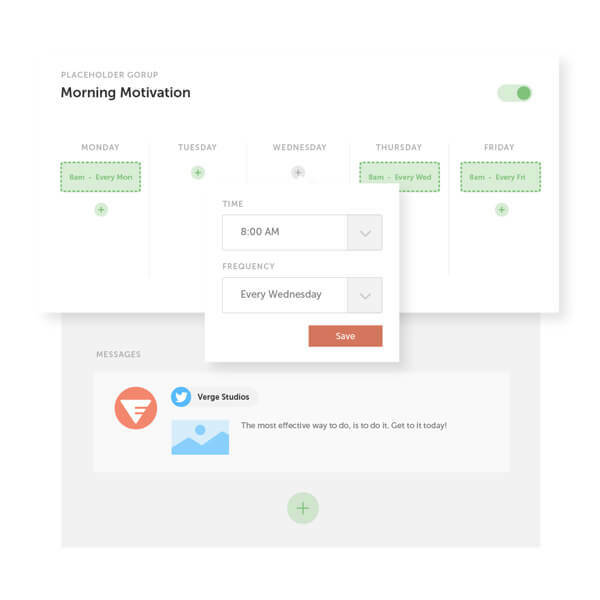 ReQueue even takes into account your entire social schedule, uses Best Time Scheduling to promote your messages at the most optimal times AND finds the gaps in your schedule (so you don’t have to). "We use ReQueue extensively on Twitter and Facebook. That's been really great for us because so little of our audience sees our organic posts. We are now just able to fill in a lot of gaps without having to think or plan individual posts."